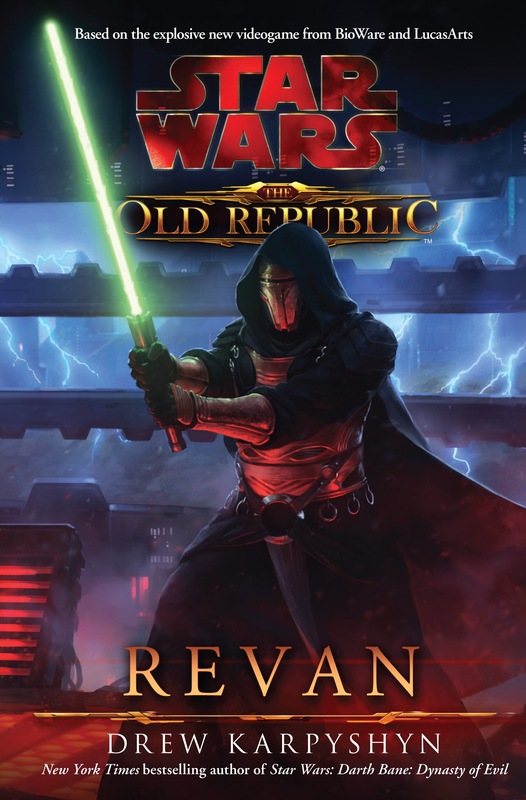 EmptyA review of Drew Karpyshyn’s Star Wars The Old Republic: Revan (Del Rey, 2013). I don’t often get a chance to talk about Star Wars since this is a site that examines Canadian Speculative Fiction, but Star Wars is a franchise that I have enjoyed since i was a child. So, i was extremely excited when i came across the work of Canadian author Drew Karpyshyn. In addition to writing the game Knights of the Old Republic, Karpyshyn has written several novels in the Star Wars franchise. Star Wars the Old Republic: Revan takes long before the movies of the franchise in a time period when the Republic and its Jedi believe that they have wiped out the Sith Empire. This is a novel of political intrigue and the battle between light and darkness, but it is quintessentially a novel about people and personalities. The Jedi Revan, having been a dark lord of the Sith in the past has been converted to the light by having his memories erased by the Jedi. He now experiences a gap between his live as a Jedi before being seduced to the dark side and his later recovery. This absented presence in his mind leaves an emptiness that he seeks to fill, a need to find what has been lost and fill that void left inside of him. As part of his quest to discover what has been lost, Revan is drawn into a quest across the galaxy to follow those thin threads of memory and weave them together in order to find wholeness. Revan’s emptiness is paralleled a planetary emptiness when he discovers a planet that has been totally drained of all Force energy, left a desolate and empty wasteland that is stuck in a state of perpetual emptiness in the Force. This planet was drained of all of its Force by a Sith who feared death and hasn’t simply been imbued with the dark side, but, rather, erased from the Force entirely. When Revan lands on the planet, his own Jedi powers are eliminated as is his connection to the Force, creating an emptiness inside of him that parallels his erased memories. Karpyshyn takes on a subject that is challenging for most Star Wars authors, exploring the types of personalities and motivations that underly the desire to become a Sith and the cultural manifestations of a Sith culture. In this episode of Speculating Canada on Trent Radio, I explore Canadian musicians who have been inspired by the myth of King Arthur and incorporate his stories into their music. I examine the way that music adds to the power of the myths being retold and the interest in mythic re-tellings. I focus on the work of Heather Dale and Loreena McKennitt, and particularly examine the way that both artists work a spell-like melody into their music. Because of copyright laws, I only share a sample of each of the works I discuss. You can explore the full songs on the websites of Heather Dale and Loreena McKennitt (listed below). You can listen to this episode of Speculating Canada on Trent Radio at the link below. This audio file was originally broadcast on Trent Radio, and I would like to thank Trent Radio for their continued support. I would also like to thank Dwayne Collins for his consistent tech support and help with the intricacies of creating audio files. Make sure to allow a few minutes for the file to buffer since it may take a moment before it begins to play. In this episode of Speculating Canada on Trent Radio, I interview comic book artist and author Ray Fawkes. Fawkes worked on comics such as “The Spectral Engine”, “Mnemovore”, “One Soul”, and “Intersect”. He has also worked on canonical DC comics titles like “Justice League Dark”, “Constantine”, “Batgirl”, and “Gotham by Midnight”. We discuss the relationship between art and writing in comics, the power of the comic book form, making a canonical character one’s own, and sexuality in comics. 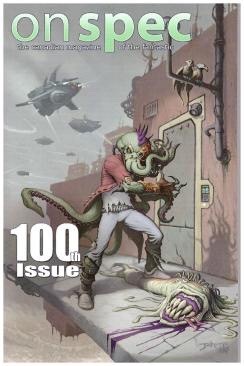 Steampunk is a complicated category and OnSpec’s much anticipated 100th issue was a great opportunity to explore some of the complexities of the genre. For this volume, OnSpec pushed the boundaries of the *punk genre, exploring areas like fairypunk, alternative histories, and diselpunk while examining all of those new areas waiting to be punked. This is not the traditional steampunk or cyberpunk collection but rather a look into those fringe areas, the under-represented. OnSpec extends the punk genres into unexpected areas. Punking genres allows for the exploration of deep social issues and this volume explores issues such as fascism, the potential for criminals to become resistance fighters, eugenics, sexism, domestic abuse, racism, reproductive rights, espionage, and climate change. 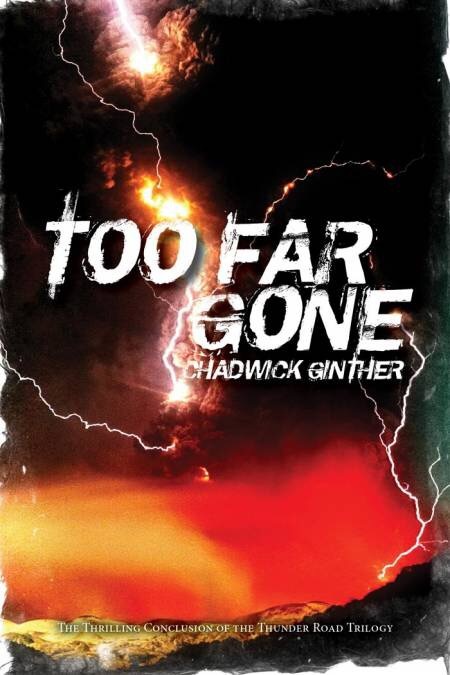 Too Far Gone, the final book in the Thunder Road Trilogy by Chadwick Ginther brings together the threads of transformation that have been woven throughout the trilogy. Ted Callan, body tattooed by Dwarves and inheriting the powers of several Norse gods, has straddled the border between myth and superhero throughout the series, playing with the border between ancient myth and modern. Ted begins to embody another aspect of the superhero tradition – a conflict between his superhero identity and his civilian identity. Ted returns home to Alberta and has to cope with the clash of his past and present, his civilian and superhero selves coming into conflict as Ted temporarily buries his power under the performance of human normativity. Even Ted’s tattoos are transformed from Norse symbols to generic tattoos, allowing his appearance to change while his identity does. This may not be a superhero unmasking, but rather is a superhero unmaking, a suppression of difference under the guise of normalcy and mundanity. Too Far Gone is a text of change involving the clash of past and present and disparate identities. It is a transformative text and this transformative background is not only illustrated through Ted’s changes but through the changes he evokes in others as he realises that his behaviours have consequences for everyone around him. The topic of change is played out through Ted’s engagement with his identities, but it is further complicated by the presence of Loki in the text and Loki’s trickster quality. Loki is fluid, changeable, able to fluctuate through identities and interested in playing multiple parts. Loki can fluctuate in gender, appearance, and personality over time. S/he is mostly identified through his/her smile, a feature that instantly identifies the Trickster quality of the god/dess. Loki also represents the conflict of time periods, both an ancient Norse god from the time before Ragnarok and a potential future for a new way of looking at the world. Loki becomes an embodiment of the uncertain, the changeable, and the chaotic, simultaneously Ted’s greatest ally and greatest threat, and this uncertainty and vulnerability only increases the stakes Ted invests in his friend. Ted is pulled between nostalgia and the desire for change, with past and present conflicting. Being back in Alberta, where he first encountered the monstrous Surtur who was responsible for his introduction into the world of Norse magic, Ted is forced to explore ideas of closure while also facing consistent reminders that he has changed so much that the things that were familiar, comfortable, and normal for him can no longer exist. He recognizes that the familiar, easy idea of home that serves as a comfort to others only reminds him of all that he has lost and how much he has changed from the type of person who could have a home or normal life. This return to Surtur and final conflict is one with the power to change the face of the world and nothing is certain any longer in this world of collisions between past, present, and future. Myth and real life collide to remake ideas of what is normal, comfortable, and taken-for-granted. In this episode of Speculating Canada on Trent Radio, I discuss the work of Canadian comic book author and artist Jeff Lemire. Jeff Lemire has written for DC comics, working on titles such as Animal Man, Justice League Dark, and Frankenstein, Agent of S.H.A.D.E. Lemire combined his writing and ilustration abilities for the comic Sweet Tooth, a post-apocalyptic tale of human-animal hybrids and the spread of a pandemic. Lemire also wrote and illustrated the graphic novel Trillium about time travelling, pandemics, and encounters with the alien. I explore Lemire’s use of intertwining narratives, the relationship between image and text, his use of pandemic narratives, his exploration of notions of humanity and the animal, the dangers of science, and his examination of the human potential for cruelty.